Steli Efti is the Co-Founder and CEO of Close.io, he is also the co-host of The Startup Chat. 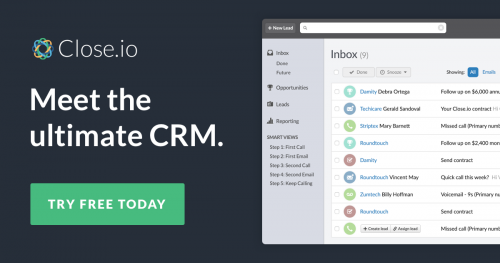 Close.io is a basic sales CRM. It helps many small-to-medium size businesses and entrepreneurs all around the world. People are use Close as a software tool to help them close more deals and make more revenue. What we discussed on the show? The proposition value is the most important. How to stay focus by saying no. He worked on that company for 5 years and made every mistake he could. That company was a painful and soul-crushing defeat for him. After many attempts and failures, he stumbled upon a new and improved idea. He started another company called Elastic Sales. The initial idea was that it would help venture-backed technology companies. Elastic Sales helped its customers develop a predictable and scalable sales process. In the process they built an internal tool called Close, that helped their salespeople do better, close more deals, and be more productive. Eventually, within a few years, he realized that the future of the company was the software product and not the services. They fully focused on the software, and that has been the business that we have been running from the past few years. When he started the SaaS business, Steli believed that all the sales software out there was in bad shape. He had the experience as sales and the other two co-founders were technical, they knew how to develop software. Their salespersons working for Elastic Sales were based in the same office. That meant “opportunity” for Steli. He and his software developers sat down in the same office as the sales team. This helped them gain insights on what the life of a salesperson looked like. 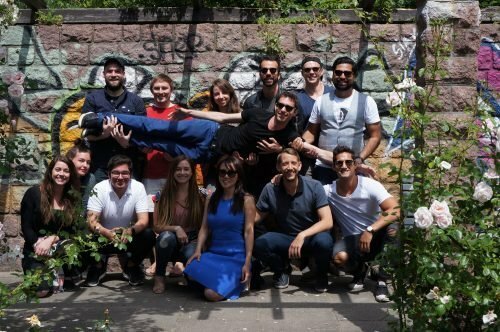 After some time they gained a very unique perspective that allowed them to develop an original philosophy on what is good sales software was. They also realized that sales software needed to help salespeople communicate more and communicate better. They were the first to offer the “calls” feature right out of the box in the sales software. Calls could be made and received from the software and tracked. The first version of Close that they launched was a very basic sales software, but it lacked a very important feature, which was “reporting”. But soon they realized that even with this huge hole in their product, people were still buying their product. People still bought because they felt strongly about their value proposition. They ended up building reporting capabilities in the end, to make the software much stronger. Stefi had a lot of the mistakes, painful failures, and struggles that happened before he and his co-founders launched this product. According to him, the mistakes that they learned in their previous businesses, were incredibly useful. With Elastic Sales, they were learning how to market and sell to 200 different SaaS products. They learned so many insights, that by the time they launched Close, they were able to avoid many mistakes and ran smooth. One of their biggest lessons was realizing that, even though they lacked a very important feature such as reporting, they still launched the product and succeeded in the beginning. By the time they launched Close, Efti and his team were are able to stay very focused on the product. They learned how to avoid getting distracted by extra features, add-ons, or different marketing strategies. Efti and his co-founders remained focused on what really mattered, their value proposition and main philosophy. This made them choose the right type of customer and avoid time-wasters. According to Efti, the most important thing is to learn “saying no”… Saying no is challenging because most people are afraid of missing out and being wrong. People are usually in self-doubt. So they are looking out in the world for guidance. There is very conflicting advice out there, which is not always wrong but takes you in the wrong direction. According to Efti, the goal should be to not to never make a mistake but to move and learn incredibly fast and adjust to mistakes along the way. According to Efti, the secret to focus is the ability to say no and the courage to be ok with being wrong and not being afraid about it. But like a muscle, saying no takes practice. It is a mindset, and once you put it to practice you’ll be confident in saying yes on what really matters and rejecting what doesn’t have to you. Efti advices to start small and less scary, start with things that are less consequential. Still, Close.io managed to pull it out. That small group of people knew each other for a long time. They respected each other and liked each other. This group was so good at what they did, not only because of the skills but because all of them launched similar products and failed at the same time. They knew the know-how, what to do, what do avoid. The original six had a lot of experience working together, making mistakes, and failing. That by the time they launched Close, everybody was an expert on failing. That helped the team grow and scale Close in the first 3 years to millions in revenue. 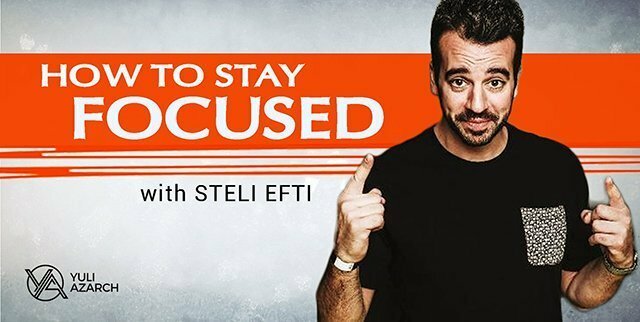 You can learn more about Steli, by subscribing to his amazing Startup Chat podcast or by checking the blog at Close.io.